The House of Representatives voted on a bill (H.Res 1071) Wednesday which recognizes that allowing illegal immigrants the right to vote diminishes the voting power of US citizens. The bill passed by a margin of 279-72, with 69 voting "present." Some cities, including San Francisco, have been actively encouraging illegal immigrants to vote in local elections. Democrats want illegals voting because they believe most will vote on their side, regardless of any damage done to the rights of US citizens. It's a sad commentary on Congress that anyone would not vote Yes on such a bill. Even sadder was the vote of a sole Republican who joined with radical Democrats in voting No. Who is he? Rep. Justin Amash (R-MI), who represents Michigan's 3rd District around Grand Rapids. Amash has been in the news of late, and not in any sort of positive way. This past July, the House voted in favor of a bill to support Immigration and Customs Enforcement (ICE) officials, and which condemned the Democrats' call to abolish the agency. ICE fights against such things as drug trafficking and human smuggling, in addition to arresting and deporting illegals. One Republican voted against that bill. That Republican was Amash. In 2016, Amash joined a list of Republicans who opposed the GOP nomination of Donald Trump for president. 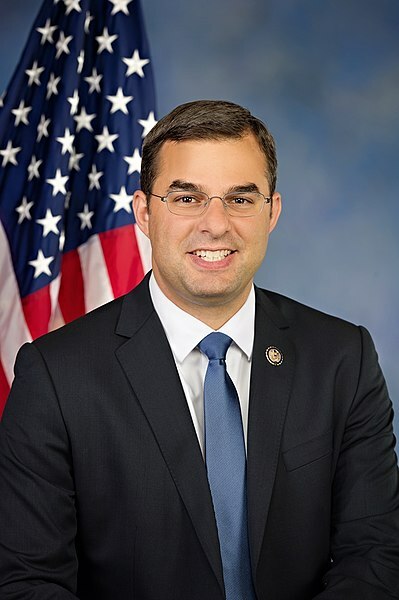 Amash has expressed support for the impeachment of Trump if certain conditions were met, for example of Trump "pardoned himself." He has voted against affirming the motto "In God We Trust." Despite the illogical opposition of Amash and several other Republicans who continue to fight Trump and his conservative agenda, the president continues to score victories both at home and abroad. The public is on the side of ICE and against illegal immigrant voting rights. Amash, meanwhile, is on the wrong side of history and the wrong side of America. Dan Scavino, White House Director of Social Media, called Amash a "big liability" and urged his defeat in the next primary.